Train hopping may be a thing of the past, but the notion of riding the rails is full steam ahead. 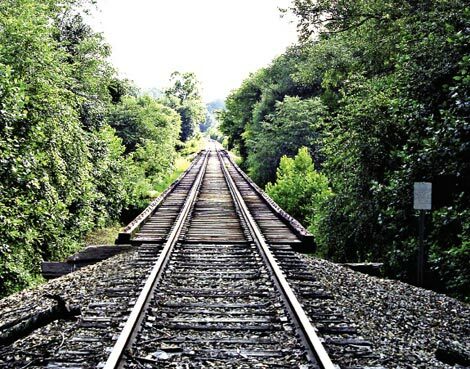 Minus the trains and tracks, multiuse rail trails are created along abandoned railroad corridors providing wide, flat paths ideal for biking and walking. Mount Mitchell Railroad & Toll Road This 21-mile path from Montreat to the summit provides ample time to reflect on the days when Mount Mitchell Railroad transported lumber and passengers along the route, which later served as a toll road until 1939 when the nearby Blue Ridge Parkway opened. Little Tennessee River Greenway A park, picnic shelters, and an historic bridge offer reasons for pause on this 4.5-mile paved stretch through Franklin, along the former Tallulah Falls Railroad line. Thermal Belt Rail Trail With old tracks and ties peeking through the crushed stone surface and signs from earlier eras, the eight miles from Spindale north to Gilkey expose the route’s railroading past.